A collection of WW1 casualty medals from iconic and important battle dates is offered in our 21st February 2018 medal and militaria auction. The date of death of a medal recipient can have a significant bearing on the medals value and what a collector is prepared to pay. The first day of the Battle of the Somme on 1st July 1916 is a most sought after date for collectors. In this instance it is not the scarcity which drives the value, with 19,240 fatalities from the 57,450 casualties suffered by the British Army on this date, this is the highest casualty rate for any day in WW1. 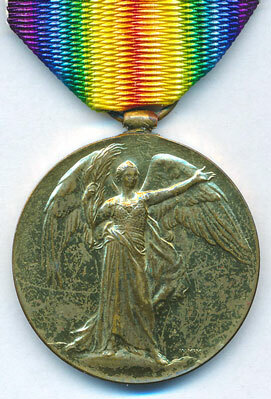 Lot 125 is a first day of The Gallipoli Landings casualty’s Victory Medal to 1157 Pte Alec McPhail 11-Bn A.I.F. who was killed in action during the landings at Anzac Cove on 25th April 1915 where the 11th Battalion were part of the first wave. 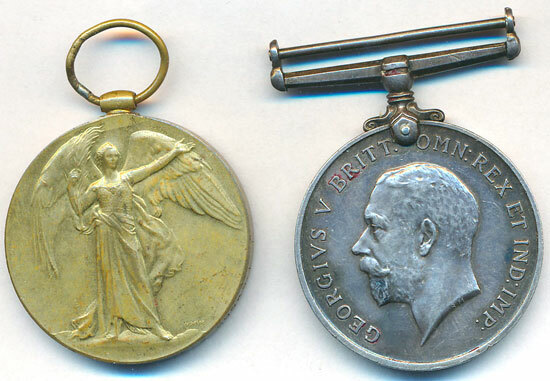 Lot 105 is a BWM and Victory Medal to 8093 Pte Charles Millington S. Staff R. who was killed in action with 1/5th Battalion during the 46th Division attack on the Hohenzollern Redoubt on 13th October 1915 at the end of the Battle of Loos where the battalion suffered 319 casualties during the day. Lot 119 is a BWM to G-1617 Pte Arthur Johnson The Queen’s Regiment who was killed in action with the 7th Battalion on 1st July 1916. Lot 120 is a BWM to 20-1689 Pte John Arthur Baycroft Northumberland Fusiliers who was killed in action with the 20th Battalion (1st Tyneside Scottish) on 1st July 1916 during the attack at La Boisselle. Lot 121 is a BWM to 17562 Pte Harry Smith Devon Regiment who was killed in action with the 2nd Battalion on 1st July 1916 during the attack at Mash Valley. Lot126 is a Victory Medal to 9697 Sjt William John Pascoe 5th London Regiment who was killed in action with the 5th Battalion on 1st July 1916. Lot 127 is a Victory Medal to 3971 Pte John Bryson Royal Lancashire Regiment who was killed in action with the 1st Battalion on 1st July 1916. Lot 128 is a Victory Medal to 206129 Pte Ronald Chapple Tank Corps who was killed in action in Tank D9, D Coy, during the first major tank attack of the war at the Battle of Flers-Courcelette on 16th September 1916. 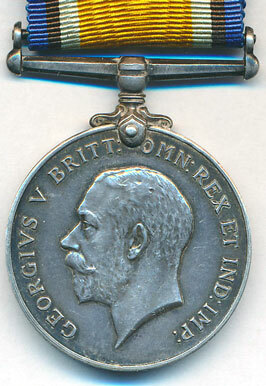 Lot 108 is a BWM and Victory Medal to 1765 Pte Sidney George Hieatt Oxfordshire & Buckinghamshire Light Infantry who was killed in action with 1/4th Battalion on first day of Battle of Langemarck 16th August 1917, during the Third Battle of Ypres.